With its clean lines, crisp colour palette and focus on warm timbers, the Scandinavian look is one of our favourites. 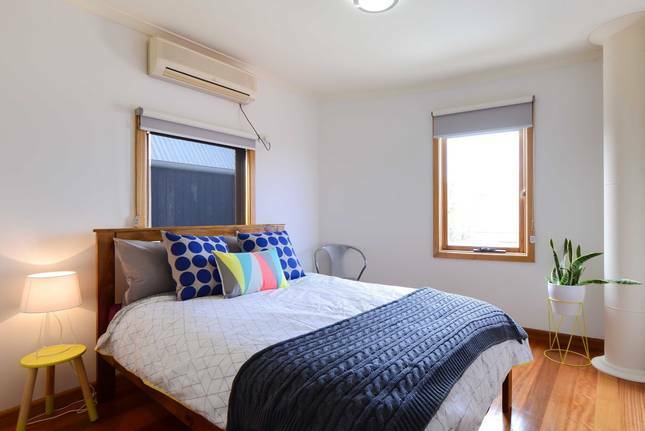 And with its simple, laid-back vibe, it’s a perfect match for the relaxed Aussie lifestyle. Here’s how to recreate it in your own home. Nothing shows off the simple, appealing lines of Scandinavian-inspired furniture and accessories better than a bright white backdrop. 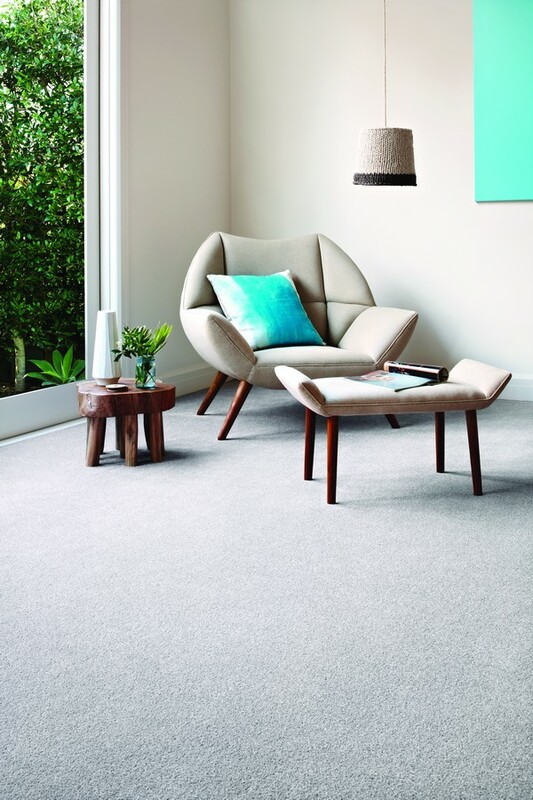 It’s also a great way to maximise the sense of space in a room, and will make any interior feel light and airy. 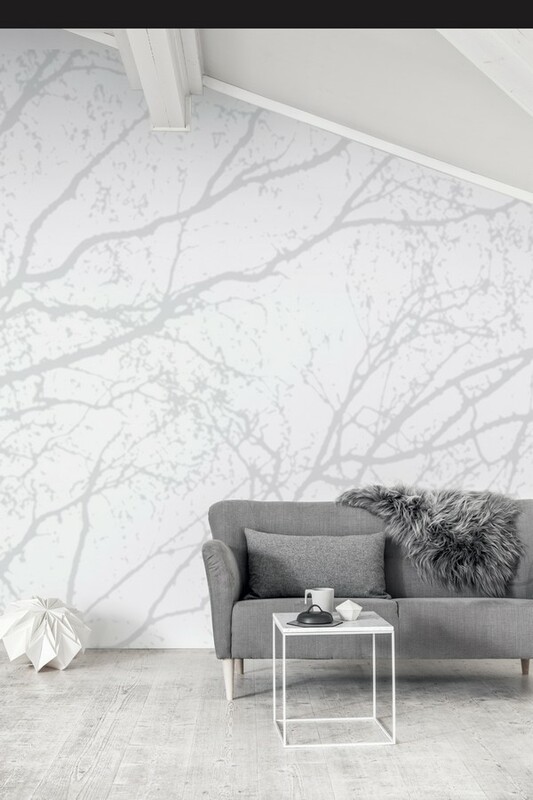 So get handy with the paintbrush and look to give your walls, floors and ceiling the all-white treatment. From pale blonde through to rich walnuts, timber furniture is the star of the show in Scandinavian design. Hardwearing and practical, it’s also a smart choice for busy family homes. 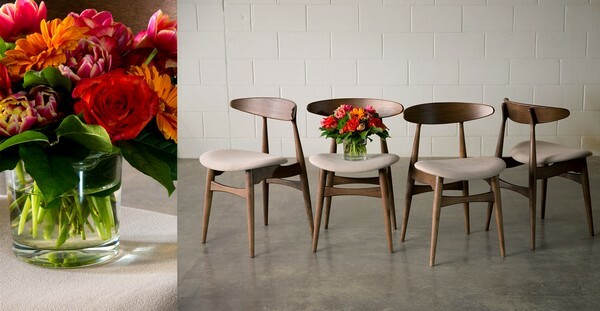 Seek out designs with curved shapes, flowing lines and slender, tapered legs. Comfort and ergonomics are also key; chairs and sofas should follow the lines of the body and be easy to get in and out of, while tables and cabinets should have smooth, rounded lines and soft-opening mechanisms. 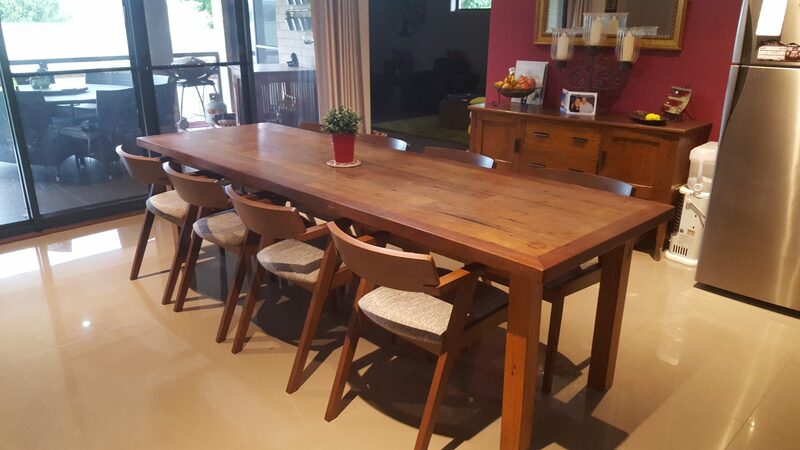 Classic examples of the look include our Tricia dining chairs, which come in a range of appealing finishes, including matte black, white and walnut. 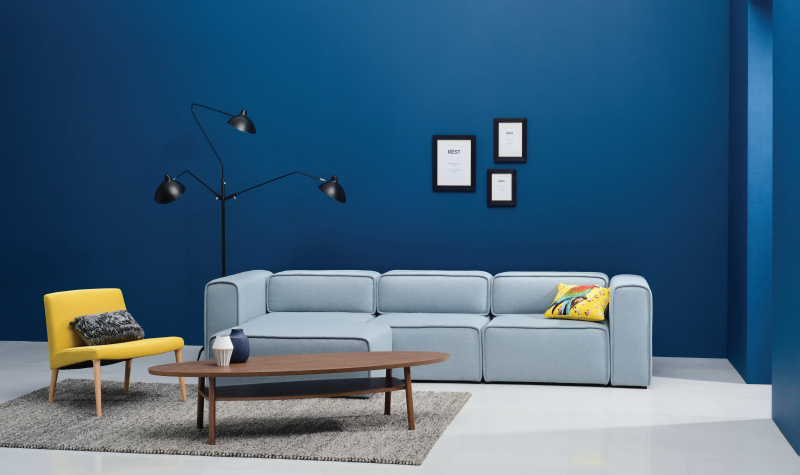 Or for sofas, our Ceni two- and three-seater design, with its fine, tapered timber legs and sumptuous upholstery. 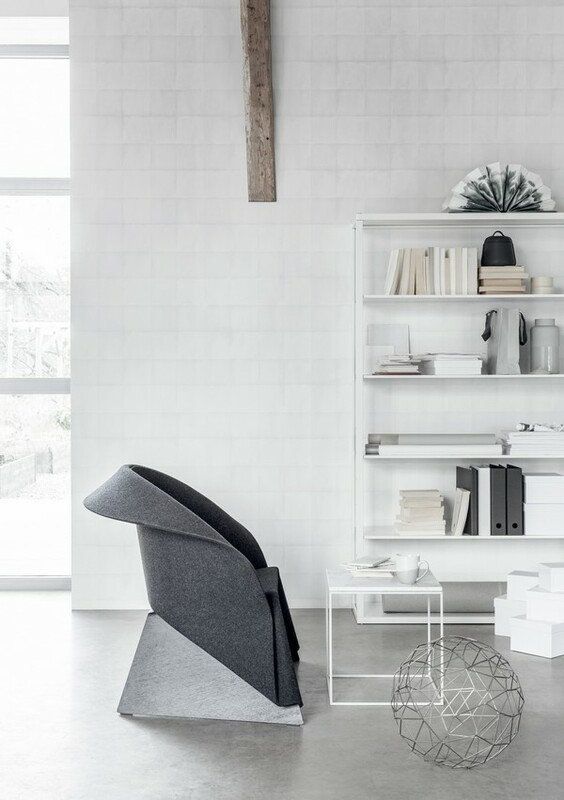 Soften the minimalist lines of a Nordic interior with tactile, natural fabrics. 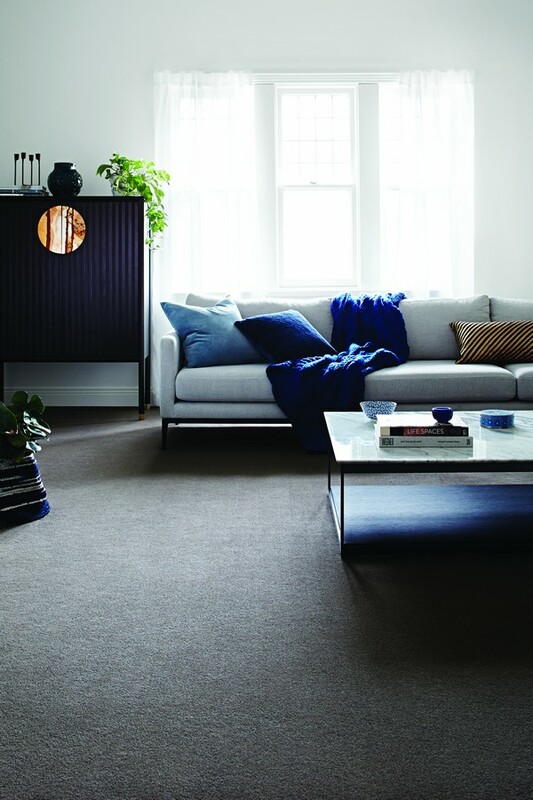 Think cotton, linen and leather in neutral shades of grey, oatmeal, caramel and white, which can be used for everything from sofa and armchair upholstery to bedlinen and window treatments. For a bolder look, consider adding classic Nordic stripes and checks. No Scandinavian interior is complete without a few carefully chosen look-at-me brights. 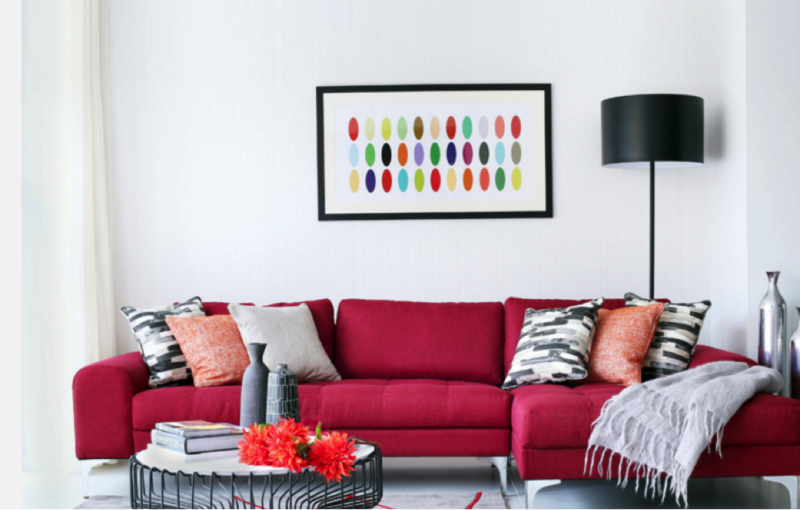 These bold splashes of colour might take the form of graphic, framed prints hung on the wall, a trio of fabulous, colourful vases on a console table, a funky pendant above the dining table, or a couple of cheery, patterned cushions on the sofa. The trick is not to over-do it; stick to no more than two or three shades, and use them sparingly to achieve maximum impact with minimum clutter. The living room is the meeting point, the central area, of our homes and apartments. It’s the room in which we spend the majority of our time – we use the living room to relax, unwind, watch television, and complete day-to-day tasks. So, because we spend so much time there, we should make the effort to make our living rooms look good, right? Our living room’s design should reflect our personalities, interests, and interior design preferences. Here are 6 stunning living room inspirations if you’re not too sure where to start. Custom designed by Four Square, this living room is just yet another piece of evidence that grey and green look fantastic together. This living room is modern and minimalistic, and the chairs are sure to bring a high level of comfort. The piece of art on the wall is undoubtedly the centerpiece of the room, but is not too ‘in your face’ as many accent wall pieces can be. We love the way the grey shades throughout the room are effortlessly combined with the green accessories. 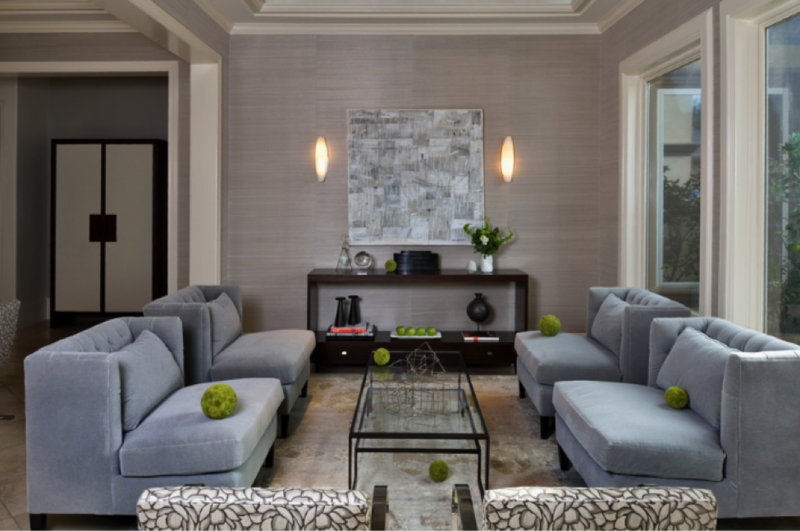 This relaxing living room was designed by Windmiller Design, and perfectly reflects modern design, whilst still incorporating the owner’s personality into the mix, with personalized accessories and picture frames dotted throughout. 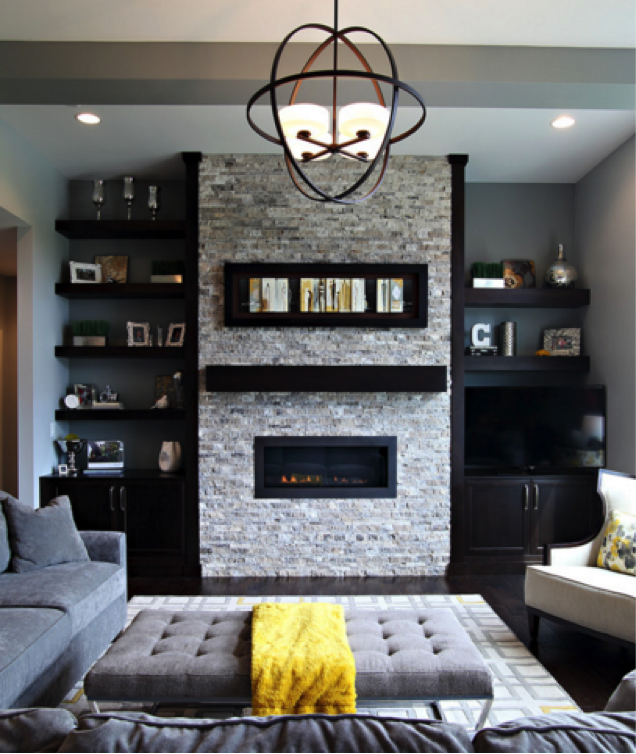 The brick-wall centerpiece and contemporary chandelier looks beautiful with the dark-wood flooring and area rug, and the grey ottoman goes fantastically with the yellow blanket thrown on top. The perfect modern and minimalistic living room. 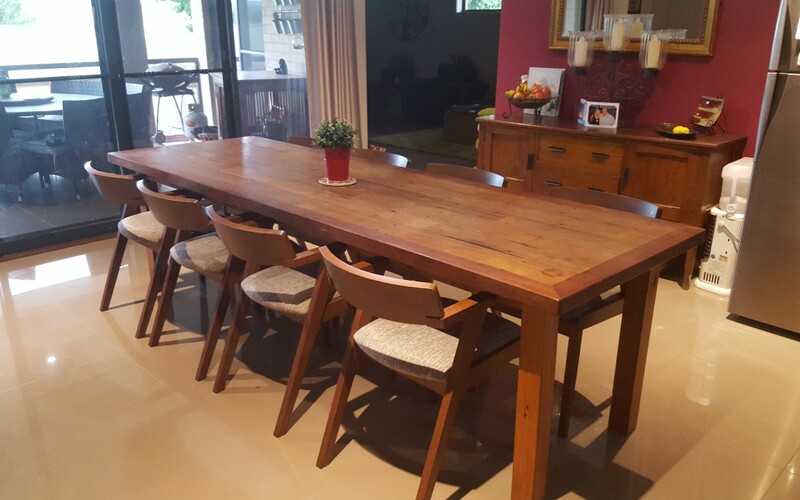 Designed by Cornerstone Architects, the Cat Mountain Residence living room is bright, cosy and homely, with a fantastic combination of modern design and rustic pieces. The wooden beams and grand chest of drawers creates that perfect rustic effect, while the modern wood flooring and comfortable sofas are staples in the interior design styles of today. 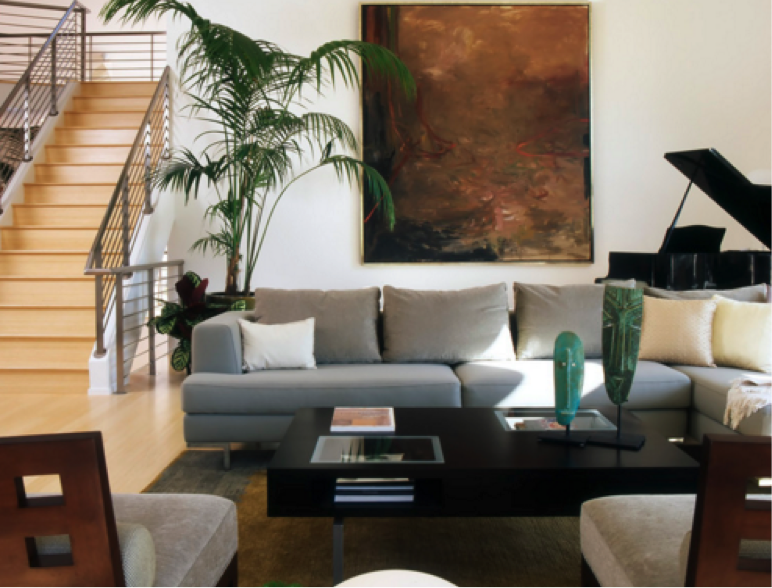 The centerpiece on the coffee table and houseplant bring a warm and pleasant effect to this stunning living room. Designed by Interior Desires UK, this one-of-a-kind living room is definitely different to the typical modern and contemporary living rooms of today. Although the fireplace, white wall and flooring is minimalistic, it’s the sofa that acts as the accent within this daring living room. 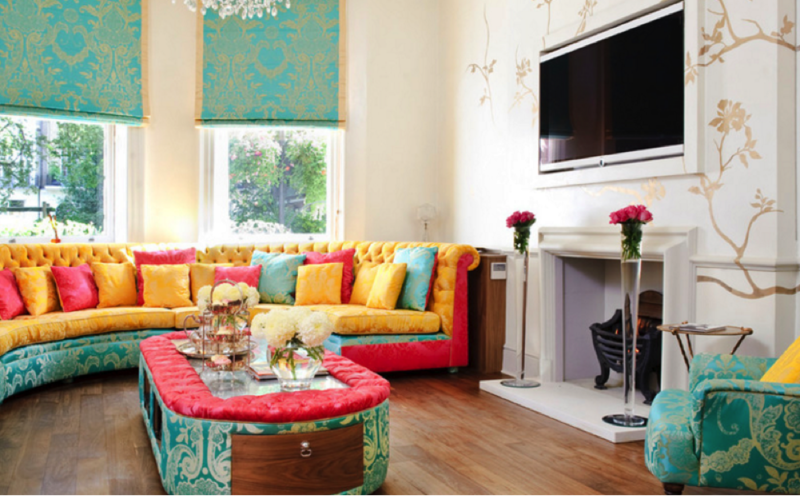 The colors are bright, bold, and pleasant, and the living room itself is definitely very pretty and girlie. Not for everyone, but kudos to those who dare to be different in interior design! This chic and minimalistic living room was designed by LLI Design, in which the sofa and wall art acts as the accent pieces within the room. We love the way the dark-pink sofa is combined with black & white and pink cushions, and the modern wall lamp stands proudly in the back of the room, next to the minimalistic piece of wall art. 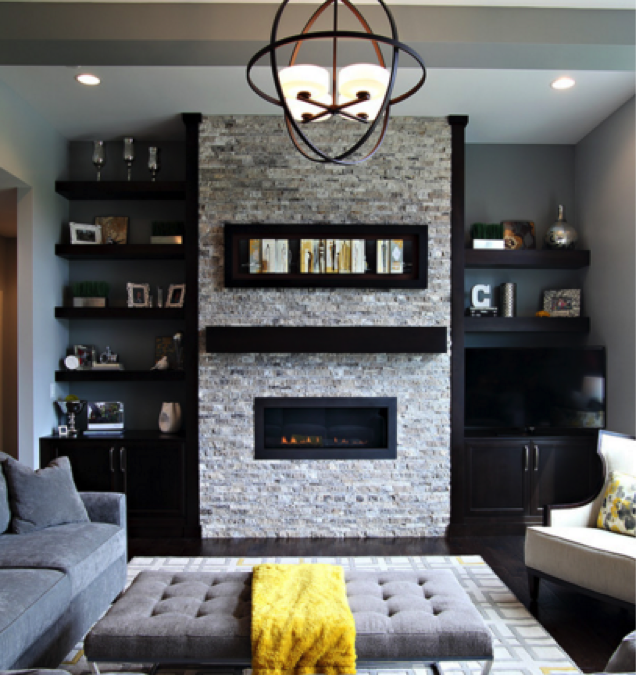 Designed by Pamela Pennington Studios, this awesome living room combines modern and minimalistic furniture with personal touches like the wall art and quirky accessories. The area rug adds a warm feel to the room, and the huge indoor plant makes such a difference. When many of you think about relaxing within your living space, the first room that pops into your mind is, undoubtedly, the bedroom. We sleep there, read there, and unwind there after a long day. So, of course, a bedroom should be comfortable in every possible way. Here are five of the most fashionable, stylish, and comforting bedroom ideas that you’ll absolutely fall in love with. 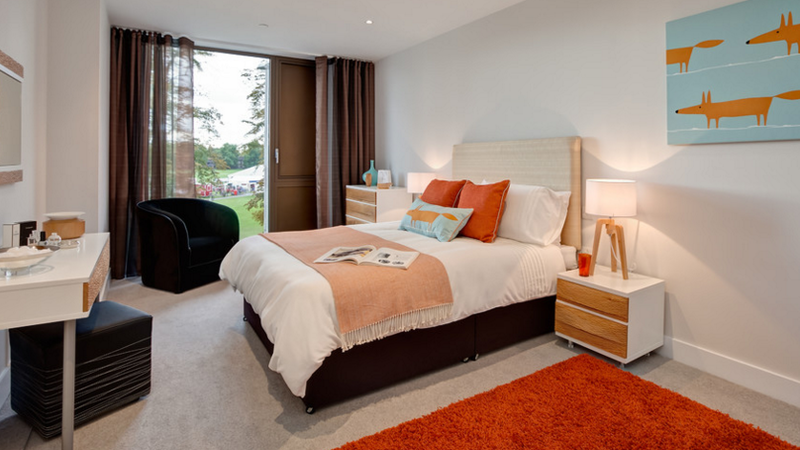 This awesome bedroom was designed by K3 show homes for the ‘Luxury City Apartment’ project. We absolutely love the way the bedroom is decorated neutrally (white bed linen, black chair, brown curtains) and is combined with orange as the accent color. The dark shade of orange and the retro-style bedside table look fantastic together. Combining white with a bold accent color is a great idea if you want your bedroom to stand out from the rest. This bedroom is classic, rustic, and insanely pretty. The wooden beams in the ceiling and the wooden bedposts and wardrobe make the perfect combination in this classic English farmhouse. 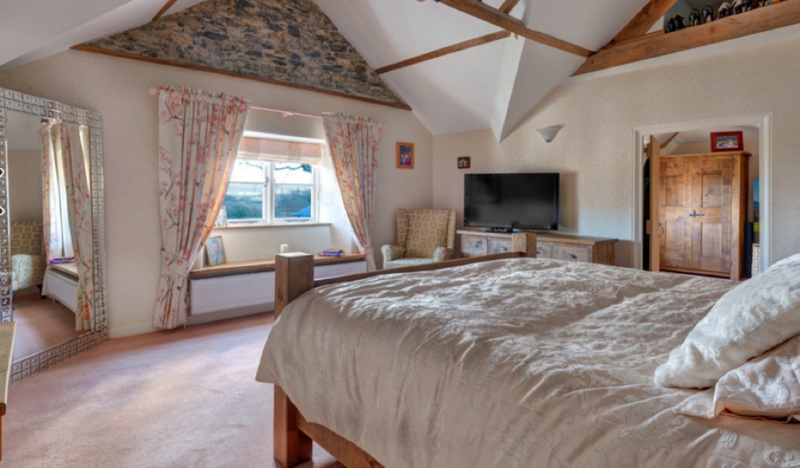 The mirror in the corner provides a touch of modern interior design, whereas the remainder of the bedroom effortlessly maintains that rustic, comforting feel. This modern, quirky bedroom, created by WN Interiors of Poole, is ideal for those who live in small apartments or houses. 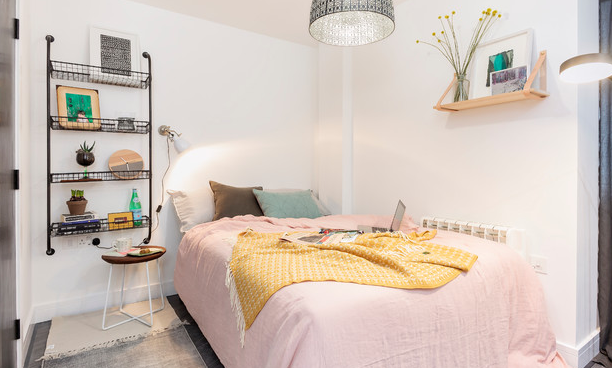 The black shelf on the wall looks awesome with the colorful accessories that stand on it, and the pretty baby pink bedsheets match perfectly with the all-white walls. If you want to make your bedroom stand out but don’t want to go too wild with the accent colors, then opt for pastel shades like blue, yellow and baby pink like the lucky owner of this bedroom did. 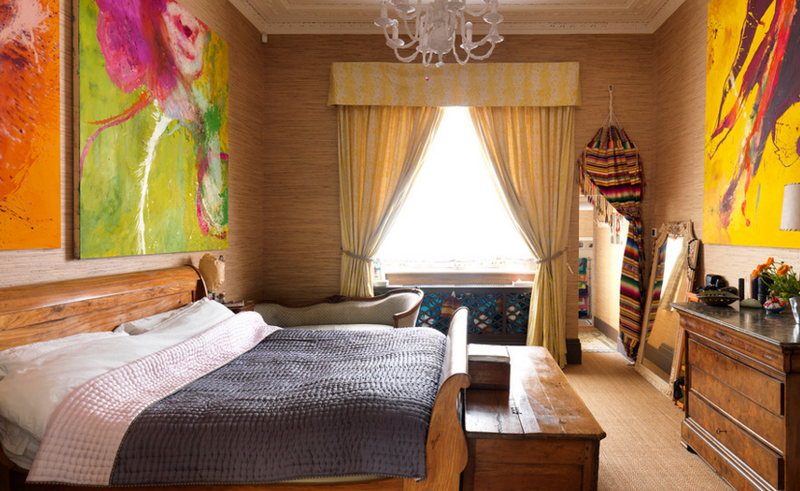 This bedroom was designed by the folks involved in the Drummonds Case Study project. The way in which the modern wooden walls & floor match perfectly with the old wooden ottoman, chest of drawers and bedframe is effortless. Obviously, this bedroom probably isn’t for everyone, but it’s certain that a lot of thought has gone into all elements of it. The bright and bold wall pieces make the perfect accent pieces. This bedroom was designed by Cambuild and is the perfect mixture of chic modern and rustic vintage. 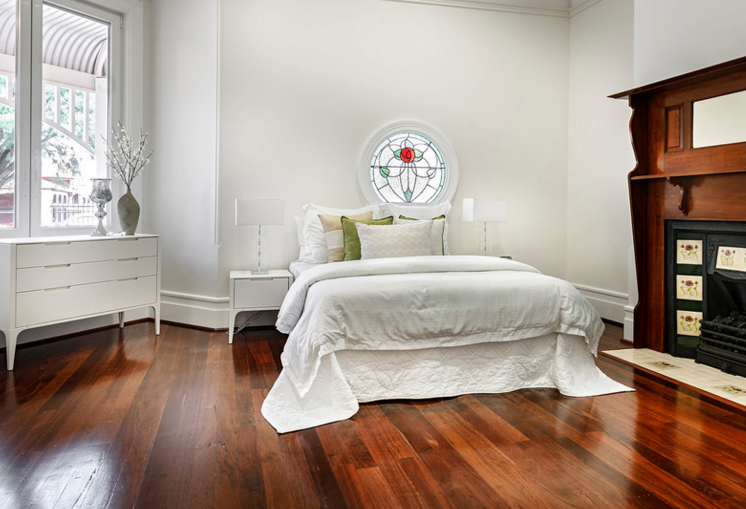 The Scandinavian-style chest of drawers and nightstands look fantastic with the rich wooden flooring, and the classic circular window and original fireplace make this bedroom even more unique. 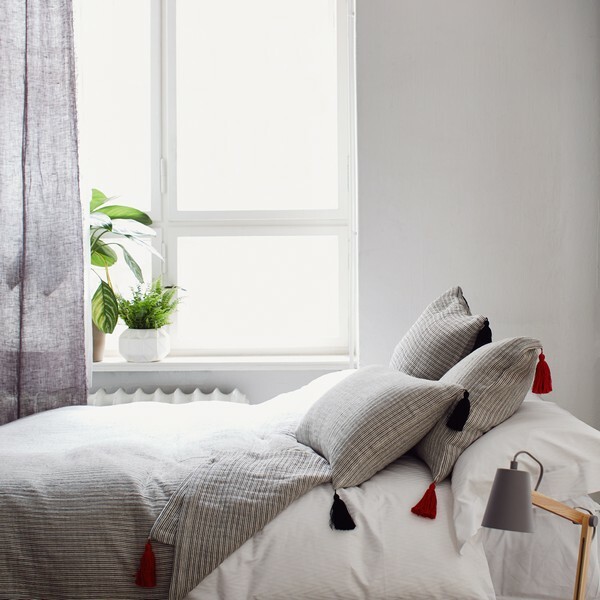 The designer has decided to keep things simple by opting for all-white bedsheets and accessories, purely to make the accents in the room stand out even more. 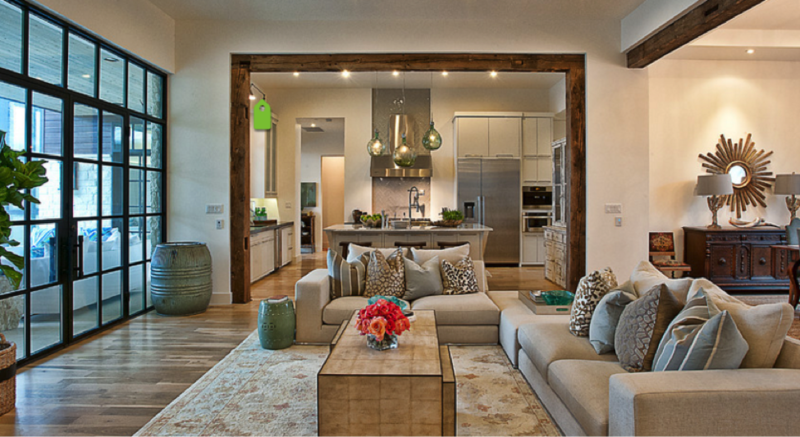 All photo credit to Houzz.